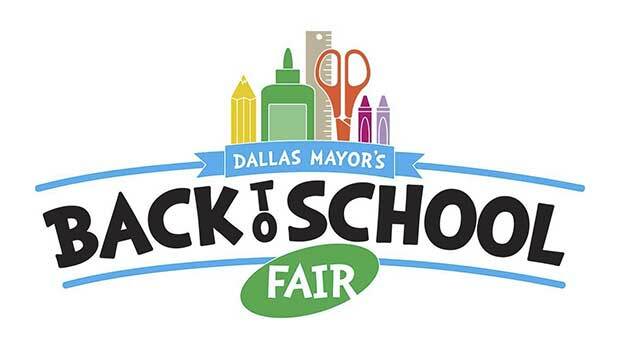 The 22nd annual Dallas Mayor’s Back to School Fair is scheduled for Friday, August 3 from 8 a.m. until 2 p.m. in the Centennial Building at Fair Park in Dallas. The free event provides school children and their families with school supplies and other back-to-school essentials necessary to return to school ready and equipped for a successful academic year. The Fair is a collaborative effort between the City of Dallas, Dallas-area schools, public health department, state agencies, nonprofits, corporations, and community volunteers. Families must either pre‑register before the fair May 15 – July 28, or register on‑site at the Fair on August 3 to qualify and receive free school supplies. A family friendly event, the Dallas Mayor’s Back to School Fair will feature musical entertainment, kid’s activities, book giveaways, games, and interactive demonstrations and booths giving out additional school supply items. Community resource booths at the back to school fair will offer an array of bilingual information from educational, social, government and community organizations; educational institutions and programs, job recruitment, college readiness, out of school learning, housing, food assistance programs and services, personal finances and more. City, county and state agencies will provide information on public and fire safety, public transportation, library services, youth services and more.